Because everything is cuter smaller, Kristen created these fun mini printable valentines. These are the perfect size for kids to take to school and at 2.5 x 3.5 a handy size to print out and leave all over the house for your hubby on Valentine's Day. 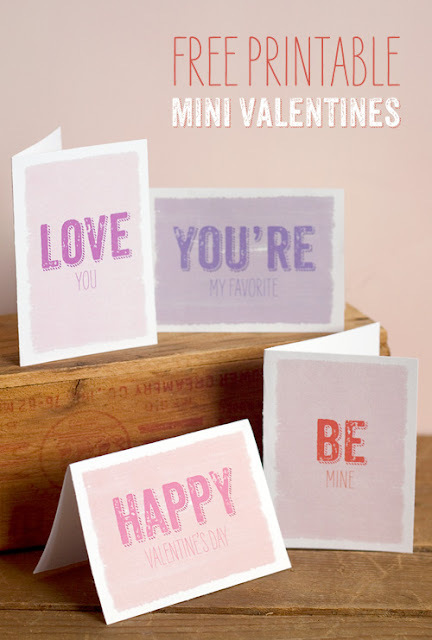 You can download all four printable mini valentines over at Paper Crave.